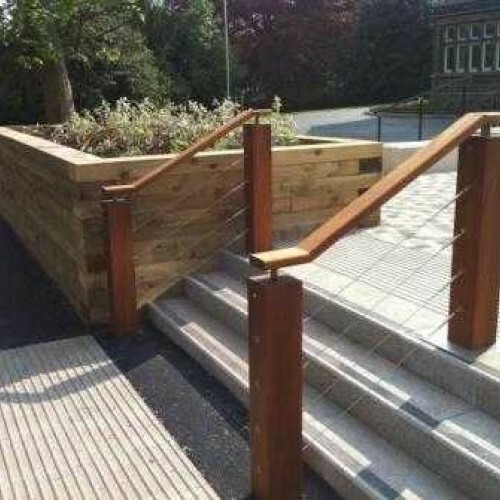 Examples of bespoke handrails made in Sheffield to specific customer requirements. 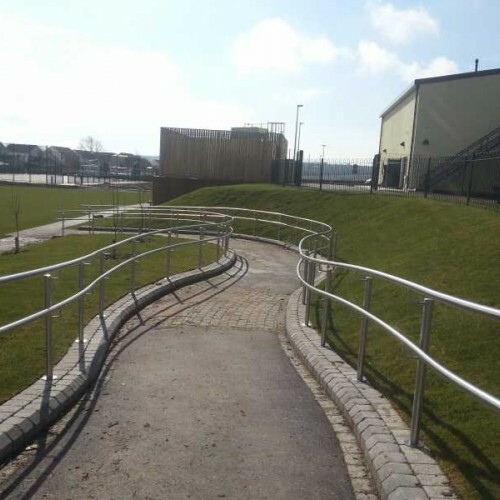 DioMet offer various standard sized handrails however should you have a specific requirement we are more than happy to help. Handrails that are fitted to walls on side fixing brackets, typically with 3no. woodscrews per bracket. 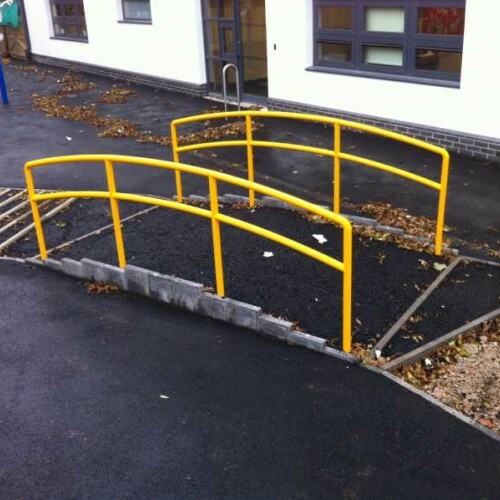 These can be made in straight sections or can incorporate bends, cranks and downturns. Straight sections can be bought directly online in a number of styles and finishes. These straight sections will simply turn over and fix to either side of your wall / stair and can be installed in minutes. 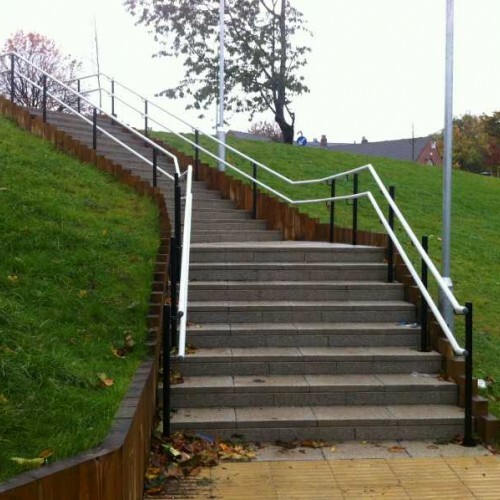 Handrails that are made to either cast into the ground or be bolted down to a hard surface. As the above wall fixed option, these can be made to suit any scenario be it curved, cranked etc. 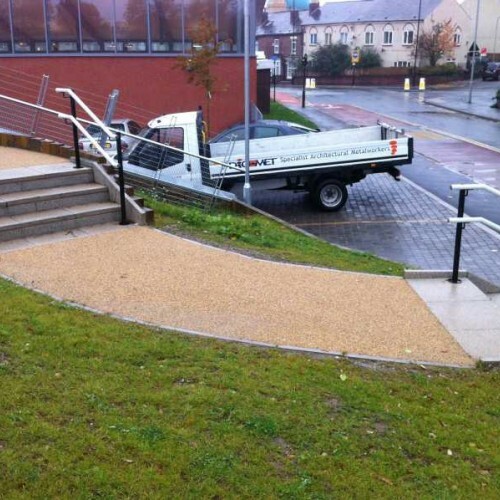 As there are too many variables with ground fixed handrails, we ask that you enquire with your specific requirements for a quotation. The standard finish on tubeclamps is galvanised however these can also be powdercoated. 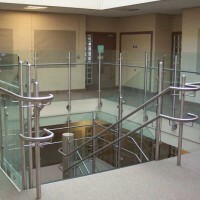 Balustrades are often confused with handrails, these can be found in the relevant section on our site. 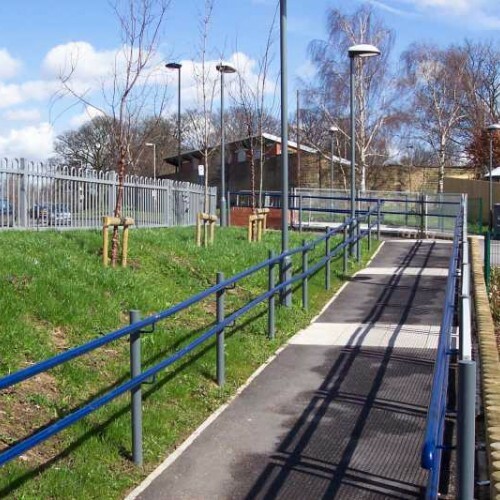 Our stainless steel handrail systems are manufactured from 316G (marine grade) stainless for external use or 304G for internal use. We offer a brushed finish to 320 grit as standard but can also provide mirror polished products too. At Diomet we have our own in-house polishing facilities at our workshop in Sheffield and all products are given a final polish prior to dispatch or after installation. 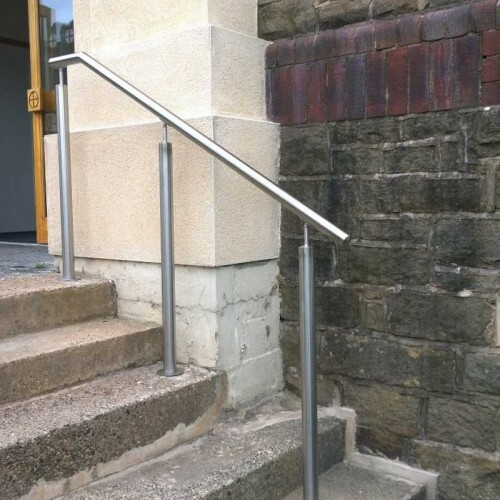 Our stainless steel handrails not only look modern and contemporary but are built to last at very competitive prices! The major alternative to stainless steel would be mild steel AKA wrought iron. 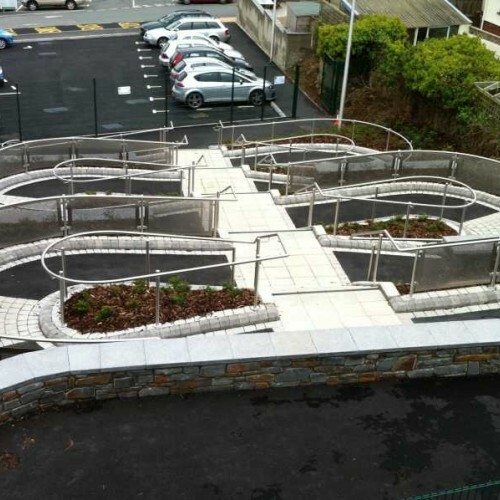 Mild steel components are much more cost effective than stainless steel and provide a more traditional look to your handrail system. 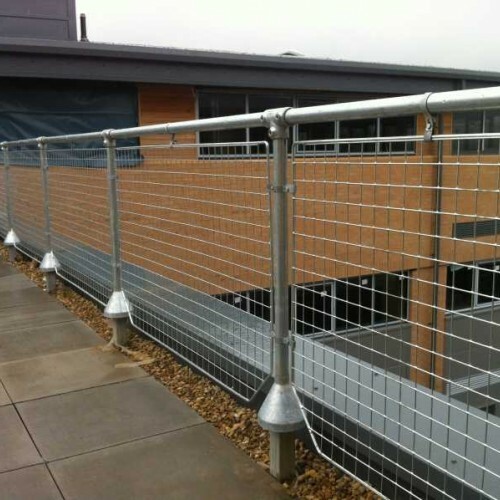 Galvanised : Hot dip galvanized finish to protect from the elements for upto 25 years. 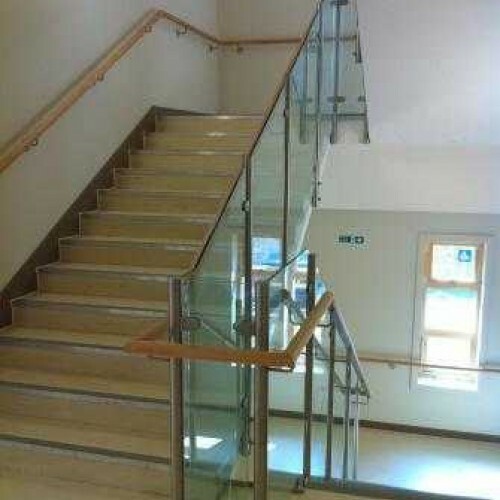 This is our standard handrail finish and is highly recommended for minimal maintenance. 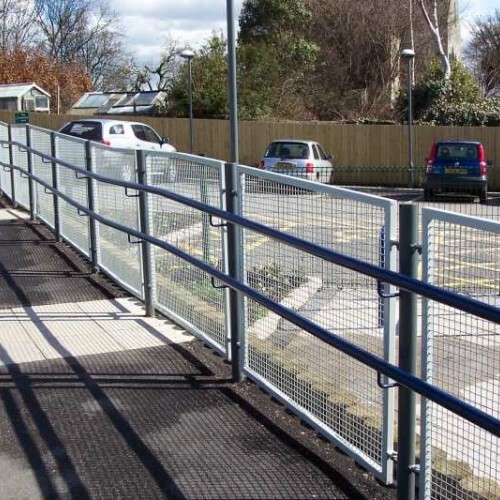 Galvanised handrailing can be painted by the customer at a later date if required . Please make sure that you T-Wash the handrail prior to applying paint otherwise the paint will not adhere properly, use a product known as 'mordant solution' . 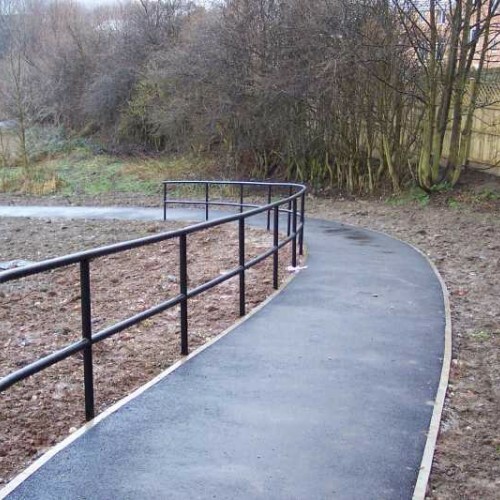 Galvanised and Powdercoated : Handrail will be galvanised, T-Washed and then polyester powdercoated for a durable and smooth finish. We can paint most basic colours requested or coat to a specific RAL code or BS number. We offer various timber handrail options, the most popular and readily available being Iroko. Our in house engineers will manufacture a steel 'ribbon rail' that would support the timber above it. 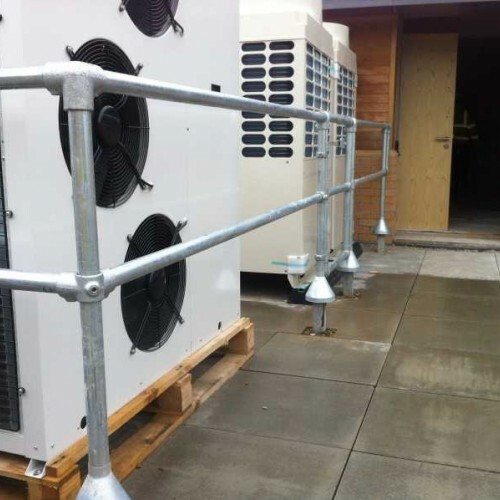 All handrailing projects that include a timber will be pre-assembled, sanded and oiled prior to dispatch with any joints filled and smoothed off. 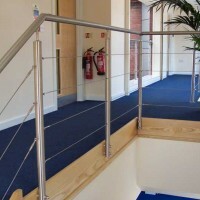 Stainless steel and wire rope infill balustrade with handrail suitable for staircases, landings and ..